For those occasions when you need an extra mattress! 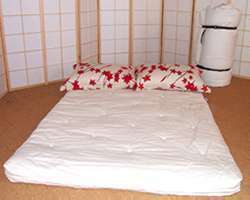 Outta Trouble futon mattress is for occasions when an extra mattress is just what’s needed. Christmas comes to mind, when family members or friends want to stay longer and your futon is already being used. An Outta Trouble mattress is rolled out and instantly solves a problem. This a comfy way to look after the sleeping needs of anyone who stays over in your house or flat. 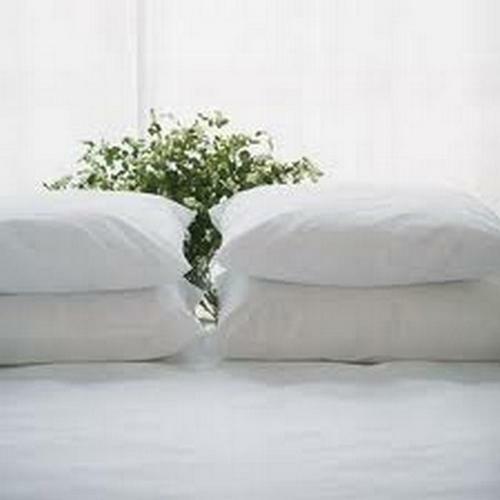 Furthermore after use, it’s easy to roll up and put away in a cupboard or loft, or under the bed! Outta Trouble is ideal for camping, camper vans and caravans. 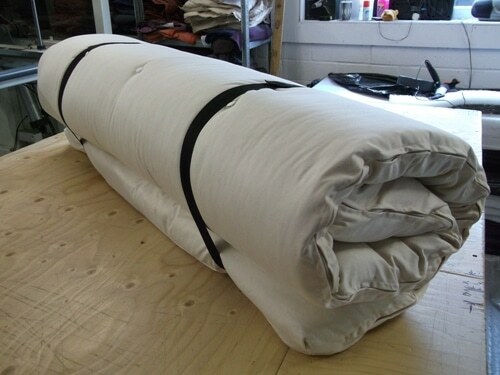 The Outta Trouble futon mattress comprises 4 layers of chemical free filling. There’s 2 layers of lambswool and 2 layers of wool felt. The filling sits in a Natural 100% cotton drill casing. Available as either a Single 3’0″x 6’3″/ 90 x 190 cm or a Double size 4’6″ x 6’3″ / 140 x 190 cm. . Finally Any mattress you choose is hand finished and made in the UK. Double size 4’6″ x 6’3″ 140 x 190 cm. .